The biggest conceptual art exhibition in Myanmar opens 19 January at the Secretariat. 44 artist, 60 works, 6 artists from Vietnam: Bui Cong Khanh, Dinh Q Le, Nguyen Van Cuong, Tran Luong, Tung Mai and Vu Dan Tan. In centres around Southeast Asia, Jakarta, Kuala Lumpur, Bangkok, Singapore, Hanoi, Baguio, and Yogyakarta, from the 1970s onwards, artists developed visual languages responding to contemporary environments and discourses. This new art allied aesthetics, critical perspectives on social questions, and conceptual modes based on associative evocation. This engaged regional practice has persisted over decades, mobilising audiences, sometimes through participation, to scrutinise disfunctions affecting the collective. Combining legible, sometimes vernacular expressive idioms and conceptual strategies, artworks are accessible to ordinary audiences, while avoiding censorship. 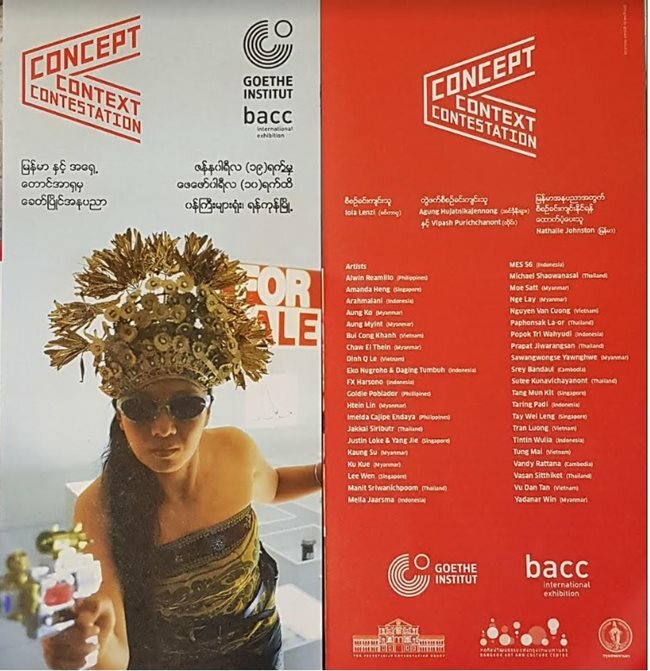 “Concept Context Contestation Yangon”, under the aegis of Goethe Institut, Yangon, is the last and expanded iteration of CCC which has been touring Southeast Asia since 2013. “Concept Context Contestation: art and the collective in Southeast Asia” was originally commissioned by Bangkok Art and Culture Centre and conceptualised by the Singapore-based art historian-curator Iola Lenzi, in collaboration with Agung Hujatnikajennong (Indonesia) and Vipash Purichanont (Thailand). Secretariat Yangon, 19 January-10 February, 2019. Opening 2pm 19 January. Public forum 20 January, 11am – 2pm. Exhibition "Senses of Hà Nội"